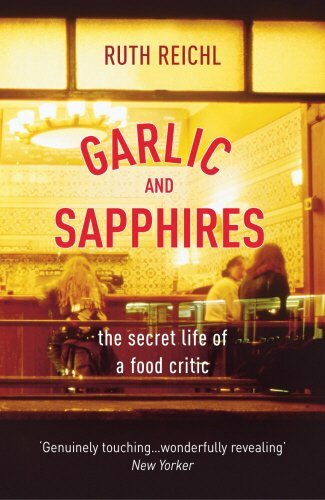 Garlic and Sapphires is Ruth Reichl's riotous account of the many disguises she employs to dine undetected when she takes on the much coveted and highly prestigious job of New York Times restaurant critic. Reichl knows that to be a good critic she has to be anonymous - but her picture is posted in every four-star, low-star kitchen in town and so she embarks on an extraordinary - and hilarious - undercover game of disguise - keeping even her husband and son in the dark. There is her stint as Molly, a frumpy blonde in an off-beige Armani suit that Ruth takes on when reviewing Le Cirque resulting in a double review of the restaurant: first she ate there as Molly; and then as she was coddled and pampered on her visit there as Ruth, New York Times food critic. Then there is the eccentric, mysterious red head on whom her husband - both disconcertingly and reassuringly - develops a terrible crush. She becomes Brenda the earth mother, Chloe the seductress and even Miriam her own (deceased) mother. What is even more remarkable about Reichl's spy games is that as she takes on these various guises, she finds herself changed not just physically, but also in character revealing how one's outer appearance can very much influence one's inner character, expectations, and appetites. View More In Celebrities & TV Shows.